Streetwear may be a the new black but Men’s fashion, in my eyes, will always be about timeless, key pieces and classic style. The fedora will be forever classy, the tie and bow-tie represent class and can be chosen to show personality, and the classic three-piece suit will always be the ultimate in being a dapper don. 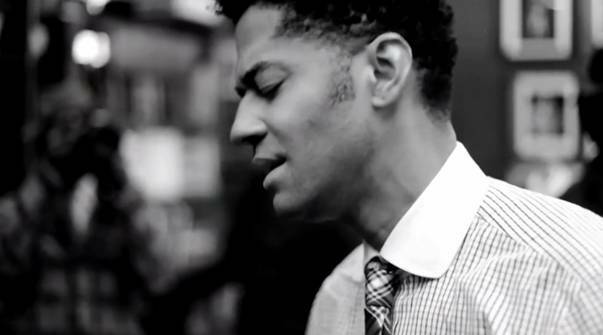 Eric Benet is an amazing musician with a vision. He is also a believer in timeless fashion and style. So much that he took his vision a step further to make a new, amazing video called ‘Music Meets Style’ (just released on Esquire.com). Filmed at The Brooklyn Circus, a high-end menswear store in New York, Eric included such style and fashion writer as Dapper Lou of www.dapperlou.com, pop critic / writer Miles Marshall Lewis of EBONY.com, KJohn (KJohn La Soul), co-creators of Stuff Fly People Like Rae Holliday & Gabe, as well as Rog Walker of Huffington Post. With a mesh of spoken word, sound and vision, Eric illustrates how his personal style has evolved and what it means to him. Creating a masterpiece of what timeless fashion is with song only creates beauty, and this video is just that. Well played Eric Benet, well-played.